2. But one rum ruled them all. 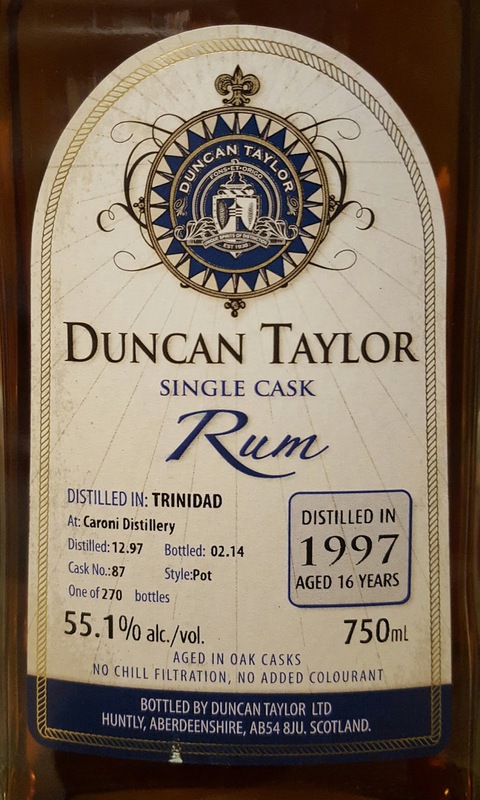 Caroni 16yo 1997 Duncan Taylor, cask 87, provided a dynamic drinking experience unmatched by any of the single malts at the show. Tar, barbecue, leather, black licorice, and mustard seed. Holy moley. If I were to have bought one bottle of something I tried at the event, that would have been it. Oh wait, I did buy a bottle. 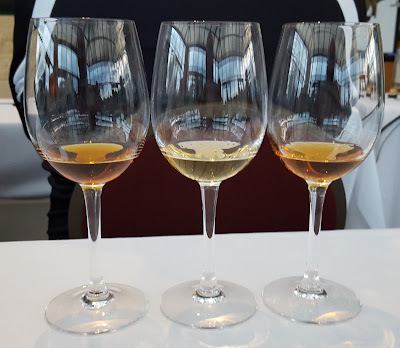 I also tried a half dozen rhum agricoles from JM and Clement, all of which were more interesting than many of the whiskies I've tried this year. 3. And the Cognac outclassed all of the scotches. Cognac Park's selection was so much fun that I happily sampled six of their products. Their XO Cigar Blend, Extra Grande Champagne, Chai #8 21yo Single Barrel Petite Champagne, and Fins Bois 1976 were better than everything except for the Redbreast and Caroni. 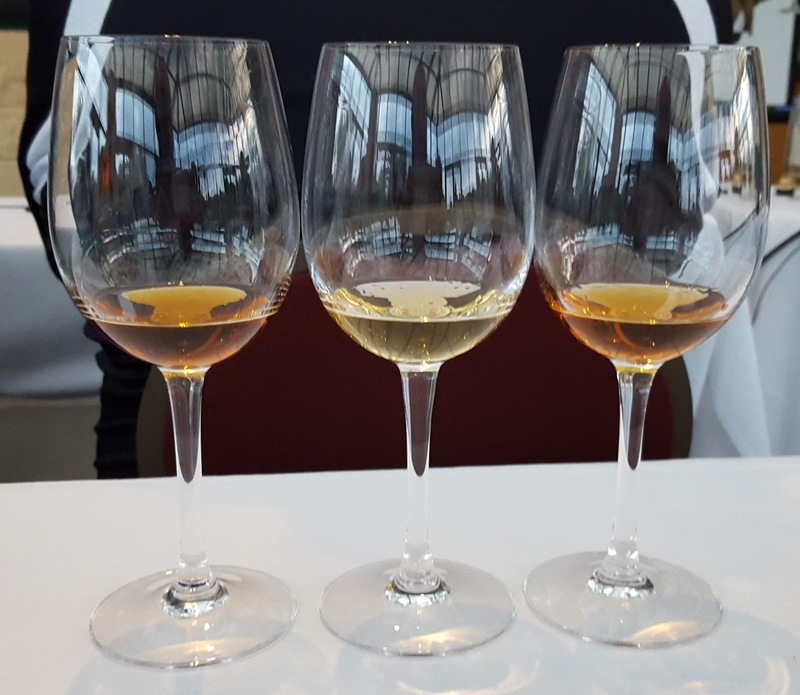 None of these cognacs were barrel strength, in fact they're all 40%abv, but they were delightful. Of course they all cost over $100, but if one were so motivated one could buy all 4 for about the same price as one Glenmorangie 25 or one Talisker 30. 4. Ledaig 18yo is weird, as it should be. Intensely dirty and rougher than the 10yo, Ledaig 18 also dries out the mouth as if it were loaded with tannins. But it doesn't taste or smell oaky at all. Very confusing. As I drank it, I couldn't figure out if it was terrible or awesome. Just the way I like Ledaig. Too bad it costs $150-$200 in The States. 5. Knob Creek 2001 Batch 3 bests Four Roses Elliott's Select, and it's not even close. I went back for a second pour of Elliott's Select in order to compare it to Knob Creek 2001 batch 3, just to make sure my palate wasn't shot. Sure enough the Knob Creek was richer and landed a much better finish. I'm becoming a fan of these 2001s (see my review of batch 1). Meanwhile it seemed as if someone poured Four Roses's Small Batch into the Elliott's bottle. 6. Both of Vine & Table's Signatory single casks are good. Denis Lynch & Co. selected a 19yo 1995 Imperial and a 24yo 1991 Glen Keith from the Pitlochry people. With the Imperial coming across bigger and oakier, and the Glen Keith subtler and fruity, I preferred the latter. Both are very solid and will each have their fans. 7. 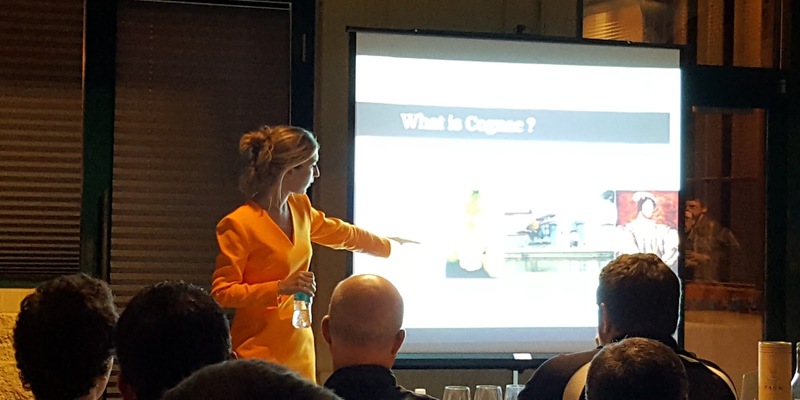 Attend the classes or presentations offered at major whisky events. The opportunity to get utterly shitfaced at these big whisky-a-thons is difficult to dodge, especially when there are 500+ pours available. If classes are offered during drinking time, go! It'll give you a chance to sit in one place and sample a couple things over 45-60 minutes. Imagine how many pours you could quaff in that time frame if you were just going from table to table and then imagine your vomit. So, in addition to education and special spirits, the classes allow you to pace yourself. The Indy Expo had two classes. 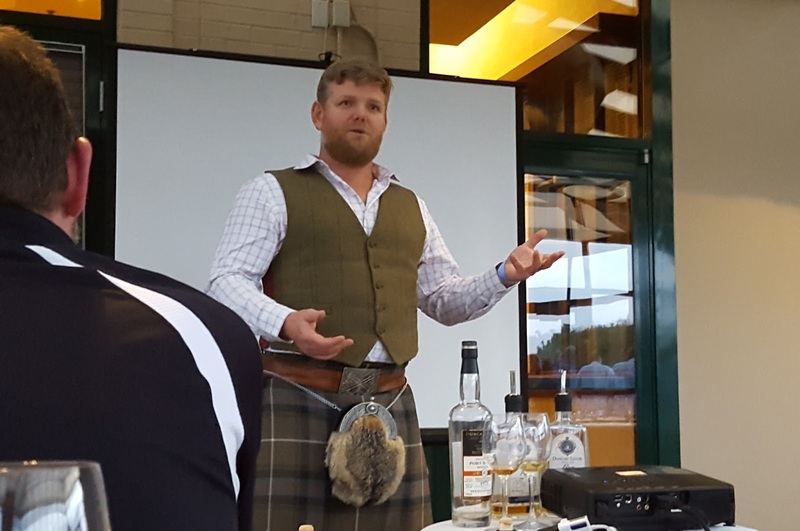 The first was led by Peter Currie, formerly of Springbank, now of Duncan Taylor, who brought along three of DT's products, none of which were single malts. It was at that session I discovered the Caroni rum (winner!). Knowing I'd probably overdo it if I went back out to the pouring floor, I got right back in line for the second class which was lead by Cognac Park's Anaïs Brisson. See item #3 above regarding how that turned. Again, education + fun drinks + pacing = smaller hangover = success. 8. I've discovered a good way to pare down my Glencairn collection. I've attended four $100+ whisky events over the past four years. In those four events, I've had five Glencairns stolen. This has nothing to do with the events themselves, rather the drunken kleptos who attend them. When I put my mini-glencairns (obtained from the Laphroaig and Lagavulin distilleries) down with my bag as I grabbed food for less than a minute, some a-hole walked off with both. 9. I am now much more motivated to explore other brown spirits. I've bought exactly one bottle of scotch in the three months since I returned from Scotland and am not motivated to buy another one any time soon......though I have picked up a few bottles of bourbon and rye during that time period. Meanwhile, I've been drinking more cognac than I used to, plus I've been impressed with all of the rhum agricoles I've tried. This event has led me further down that path. 10. I met great humans! Aside from going to a whisky event for the whisky, I also went to meet people. I chatted with a dozen reps, sharing our misery over the mess that is Ohio's state run liquor business. Shared a drink with a few more. But what I enjoyed most was the chance to hang out with two of my readers! Thank you Fletcher and Vik for agreeing to meet up with me and for politely suffering through my vast assortment of opinions. It was a pleasure! Thanks, gents! Hopefully we can do this again some time. I would just like to point out K&L has the Glenmo 25 for $100 less ($499.99). And I like how getting kicked in the Oompa Loompas (Pearls Before Swine reference) is a better experience than the Dalmore King Alexander to you. I've seen several decent reviews of that one but EVERY review also complained of the price. The price is bizarre. In addition to Dalmore King Alex 3's low watery thin bland unbalanced quality......um, actually I have nothing to add. I will say that it's possibly better than the first couple editions of McEwan's Black Art Wine Spit Cup. It was terrific meeting up in person, Michael. I enjoyed the Cognac Park tastings very much too, and like you, was utterly disappointed in the Elliot's Select. 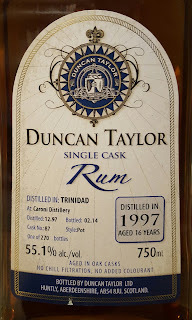 I picked up a bottle of that Duncan Taylor Caroni myself. After your write-up, I might decide to pick up another. Cheers, Michael. Hey Vik! Have you tried your bottle of the Caroni? Does Denis have any more? He only received 12 bottles to sell, but apparently I was the only one who asked him to hold a bottle at the event. It might not groove with everyone's palates. Or people are still weirded out by rum. Michael - I haven't tried the bottle yet, but will probably crack it open over the holidays. There were 4-5 left when I picked up one up late in the day Saturday! Couldn't agree with you more. I started with rum just a few months ago and finding it so much more interesting. Especially the Foursquare rums and agree with the JM Rhums, awesome stuff. Also cognac/brandy, especially stuff from Germain-Robin. Hi Anon. Thanks! I look forward to getting into the Foursquare rums in the near future. Tried Germain-Robin's regular "Craft Method" brandy at a bar recently and was impressed. Probably will get a bottle when I have a chance. It was awesome to meet you in person, Michael. I also thought the Caroni was bonkers good, wish I remembered to pick up a bottle of it at the store. I found the Cognac Park masterclass to be pretty eye-opening and made me aware of how good cognac can be when it's not made by one of the big producers. For me the best-in-show (besides the Caroni) was maybe the Exclusive Malts 1997 Deanston. Was expecting just a high proof Speysider but it turned out to be a massively flavorful and savory malt bomb with a finish that went on forever. Hey Fletcher! Hope you had safe travels back home. I never got to the Exclusive Malts table for safety purposes, which was probably a good idea since I went to a pub afterwards. o_O I think they had a Glen Keith too.